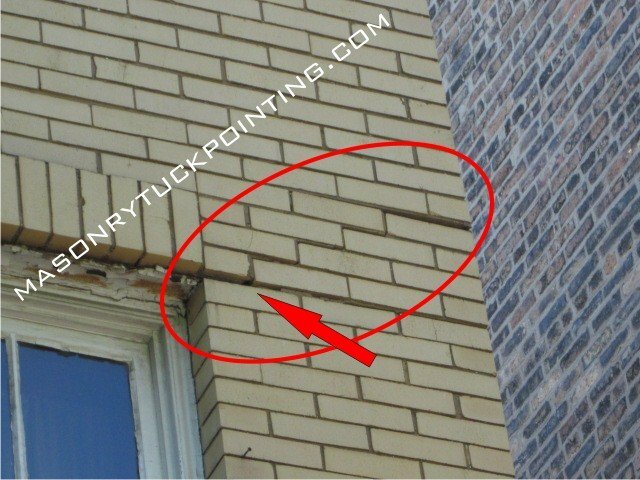 Since you’re reading this article, you are most likely thinking about a steel lintel replacement in your masonry building / property, and you are most likely living in Chicago or one of the surrounding neighborhoods. You are definitely in the right place and we’ll be happy to help you in the evaluation of the distressed structure, answering any steel lintel replacement questions, and providing you with a quote for work that might be necessary to correct your lintel problem. All our building evaluations and quotes are always FREE and you have no obligations to use our services. A lintel, the horizontal architectural member of a structure, is usually responsible for supporting the weight of various building wall components located above openings such as windows, doors, or portals. Load bearing isn’t always the only function of the lintel, as sometimes it is just a decorative, architectural element and the only weight it supports is its own. The majority of the steel lintel replacements we perform in the Chicago area are the aftermath of severe corrosion of steel, which results in lintel’s expansion, mortar line cracks, and masonry wall section displacement / damage. What are the most typical signs of a bad steel lintel that qualifies it for replacement? 1. 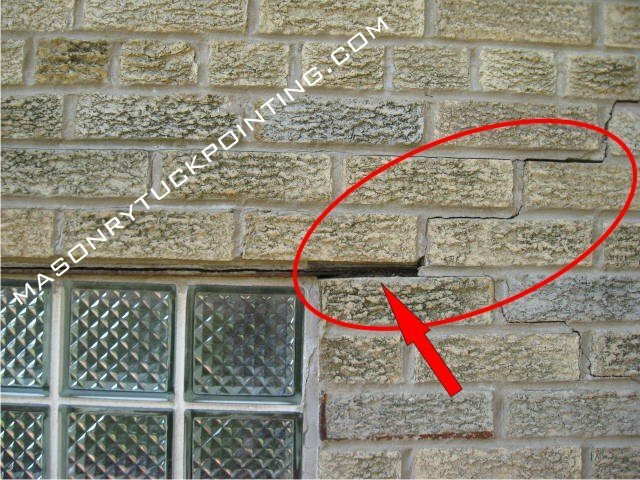 Mortar cracks at the upper corners of doors, windows, and / or portals, loose pieces of mortar falling from the joints. In case the process has just begun and there are no displaced wall sections above the corroding lintel, the replacement shouldn’t be complicated. 2. 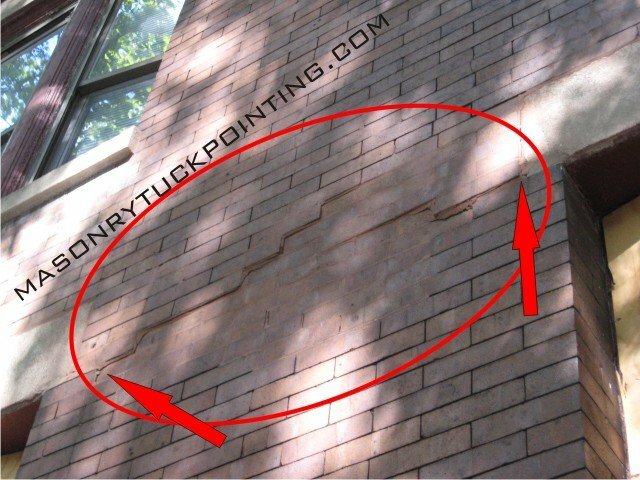 Mortar line cracks, cracked and / or displaced wall components (bricks, stone, CMU blocks): such damage cannot be easily fixed and, besides the lintel replacement, often requires a complete rebuilding of a masonry wall or its section. Keep in mind that whenever the wall becomes compromised, a structural engineer may need to be involved in a process of restoration. This raises the steel lintel replacement cost significantly, but unfortunately it might be unavoidable. 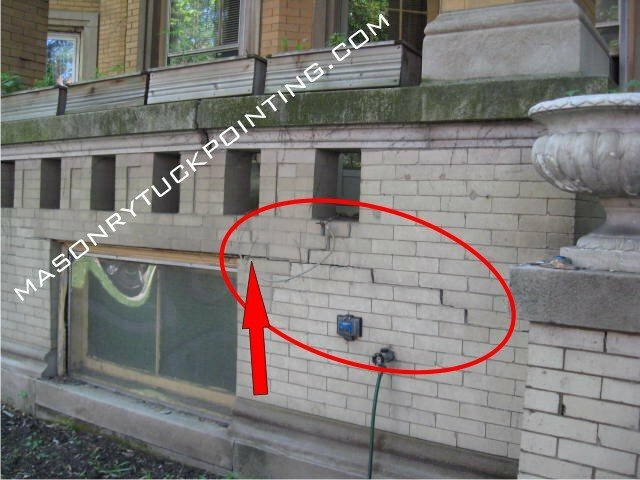 Performing the damaged steel lintel replacement in Chicago with a combination of a correctly installed flashing, weep cords, and a drip edge could prevent many serious problems from occurring.